The electric rickshaw has been global since 1940’s from the time of post era. But, its utilization and popularity have actually come into prominence since last 4-5 years. Actually, the concept of tricycles with fuel run emerged at that time, after that the auto rickshaws has dominated the market. It is only in the year 2008 that battery operated rickshaw gain much importance worldwide. No doubt that battery operated vehicle is robust and strong enough. Also, it is ensured that this vehicle provides all the facility for the comfort of every passenger. No doubt there are a hell lot of E-Rickshaw spare parts required for the construction of e-rickshaw. Also, the vehicle is crafted with the best quality of metal and fiber glass. Among the other materials, an open frame is used for the construction of these e-rickshaws. The rickshaw is no doubt cost-effective because it is battery operated as well as consumes less energy. The 3 wheeler E- rickshaw is definitely the best substitute for fuel driven vehicles and efficient when comes to battery power. Also, there is no emission of harmful pollutants from this vehicle so it helps to increase the durability and strengthens the vehicle. The materials which are used in constructing the vehicle such as fibreglass help it to make the vehicle more efficient. Also, this vehicle is absolutely perfect to cover the short distance as well as carry small loads. How does the Vehicle Work? The body weight of the E- rickshaw is extremely light and because of that durability of the battery does not get decreased. The main elements that actually drive the electric rickshaw are a motor, controller, harness and most importantly its throttle. To get the best service and to increase the benefits from this vehicle these elements are essential. 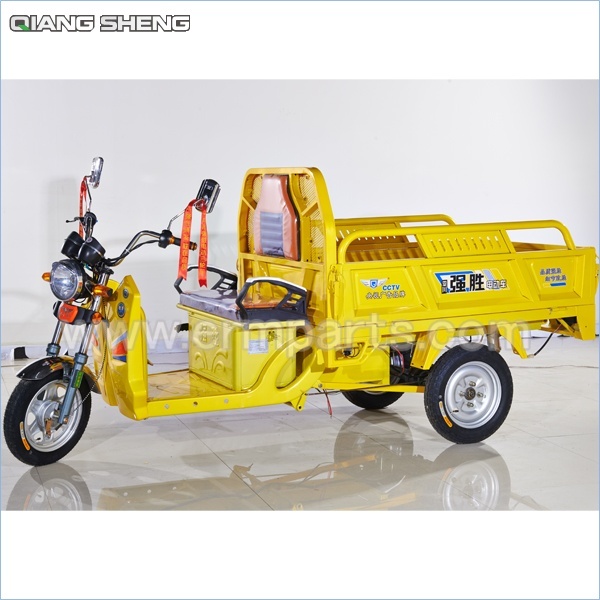 The motor of the battery generally varies from 650w to 1250 while according to the rules the unit should not increase 650 W. Moreover, these E-rickshaws constitute of leaf spring suspension. The power supplies at the rate of 48 V which can also be controlled by a specific controller. It is essential that manufacturers use the superior quality battery to get the best performance and takes care that the batteries don’t get overheated very fast. The best part of this rickshaw is that they need minimal maintenance. Although it is important that at regular intervals the vehicle must be taken to the service centres. Any misuse with the vehicle might affect the entire system. Also, wrong adjustments with the brakes might also affect the motor and other essential elements. If this happens then not only it will severely affect the vehicle but also decrease the mileage.